Sometimes some of the best planning in the world cannot account for the selection of avocados you find in your local supermarket or produce stands. The best and simplest way to ripen avocados is to just let the process happen naturally by letting them sit for a day or two, preferably out on a windowsill with sun exposure. But, if you have rock-hard avocados and cannot wait to make homemade guacamole or Mexican dishes that might call for avocados in the recipe, then there are a few things you can do to make your avocados get soft quicker. Place two to three avocados in a brown paper bag, close the bag, and store at room temperature. If you do not have paper bags on hand, wrapping them in a newspaper will also do. This will accelerate the natural ripening process. For even quicker ripening, add an apple, banana, or a tomato to the bag. Ripe fruits contain a natural plant hormone called ethylene, which triggers ripening in mature fruit. The paper bag traps the ethylene gas that is produced by the fruit and speeds up the ripening process. Depending on the avocado, ripeness may be achieved overnight so it is important to check back daily. Is the Avocado Ripe or Not? Ripe avocados will peel easily and are soft, yet still firm and not squishy. A ripe avocado will yield to gentle pressure when squeezed gently. 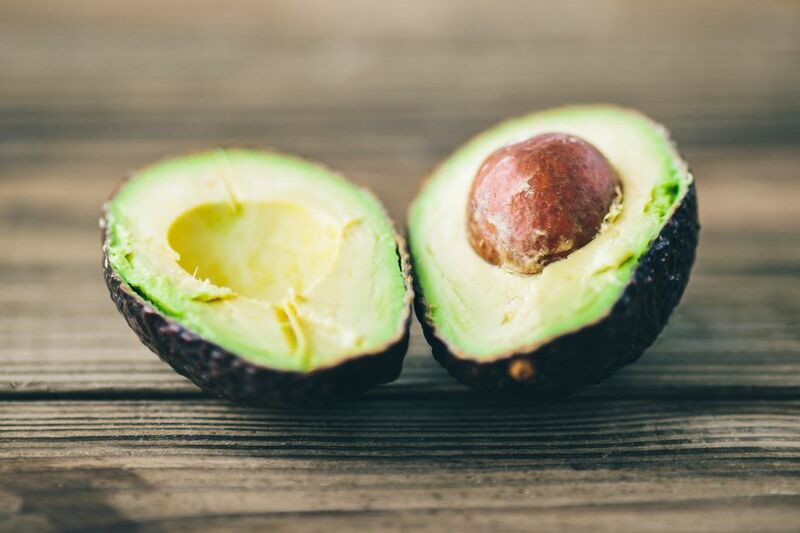 If you are making your selection in the store, usually, avocados with darker green-to-black skin color may be riper than those with lighter skins. Although, do not just judge by their color, as some varieties will retain their green color, even when ripe, rather than turning a deep greenish brown. A simple way to determine the ripeness of an avocado is to flick off the stem and look underneath. This is recommended only after you have purchased the avocado. Popping off avocado stems in a grocery store is wasteful and inconsiderate to other shoppers and market owners. It also compromises the ripening process of the avocado. You can try to gently tug on the stem if the stem feels tight and not ready to fall off, then the avocado is not ready. If the stem falls off easily and is brown underneath, then the avocado is overripe. A perfectly ripe avocado is bright yellowish green underneath the stem. If your avocados are ripening before you have a chance to eat them, place them in the crisper of your refrigerator, as this will help them keep a bit longer once they are ripe. Some people advise microwaving avocados or putting them in the oven. While this will make them a little bit softer, it will not actually make them ripe. Do not ruin your incredible avocados by microwaving them. Why Does My Quinoa Taste Bitter and How Do I Fix It?